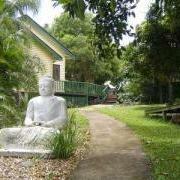 We are proud to support the creation of a model, sustainable community in Belli Park on the Sunshine Coast hinterland. 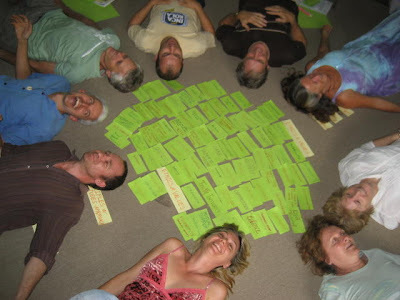 In December 2008, a group of people came together to model a new, holistically sustainable, intentional community on our beautiful 40 acre site. With the support of our Association, the Bellbunya Community is working toward becoming a 4-bottom line, sustainable community. The first 18 months of working together have already produced tangible results as a model of sustainable living. The community uses 1 wheely bin per week and -2 recycle bins per fortnight, to handle all refuse from community, conference and eco-retreat activities. This compares to the average Australian household of 1 wheely bin for each household of 2.3 people. This has been achieved through buying fresh, local and bulk foods rather than packaged and processed foods, re-use of materials such as paper and cardboard in vegetable gardens, composting of all plant based materials, using "green bags" rather than plastic bags, sharing of resources rather than multiple purchase of disposable items and fixing and re-using items. The community runs on 100% green, renewable energy. Of that, around 50% is produced by solar panels on site through our solar project, thanks to funding support from the Gambling Community Benefit Fund and partnerships with Nambour TAFE Diploma of Renewable Energy Students, Planet Power and the Sustainable Living Association. By sharing meals and utilising community rather than private spaces, there is less energy required for lighting, heating, cooking and cooling. Community members use less than 50% of the average per capita energy used in Australian households, and at .9KvA per capita Bellbunya achieves well against even best practice sustainable design buildings. Food for the Bellbunya Community is primarily sourced with low food miles, such as local produce and foods from the Community's own, ever-increasing organic gardens. Car-pooling has been initiated within the community, and with car ownership at .7-.8 per adult at the community, is considerably less than the 1.1 average for the region. The community is making choices for energy efficiency, for example purchasing a walk-behind slasher rather than a ride-on mower, as it has lower embodied energy and ongoing energy and maintenance requirements. On the agenda is the replacement of grass areas with herb/food production areas, and introducing animals for produce, fertiliser and grass/weed control. With very little money or time allocations, the Association has, in conjunction with the community, made extraordinary savings of gas through simple measures. By putting the existing gas-furnace hot water systems on a timer, gas consumption was reduced by more than 50% at no cost to the community. For the cost of $30 in insulation to hot water pipes, an additional saving of gas usage of an estimated 30% has been achieved. Rearranging of hot water piping under the homestead saves 2-3 Litres of hot water each time the kitchen taps are used, whilst increasing the temperature by 10-15 degreec C. The combination of reduced hot water wastage and decreased need for hot water due to higher temperatures at the tap will result in gas savings of 40-50% for the homestead kitchen. Our Association has just completed a solar project that included the replacement of the ancient gas furnace and electric hot water system with solar-heated water. Projects 'in the pipeline' include replacing gas systems with solar hot waters systems throughout the complex. The community has completed a review of the impacts of organic farming in comparison to conventional farming. The community has started organic gardens which supply much of the community's salad vegetables, and has chickens for its egg production. Community members have been involved in making yoghurt and kefir from fresh milk, kambucha, breads and soy milk. The community aims to be organic/biodynamic, does not use poisons and uses eco-friendly cleaning products such as vinegar. 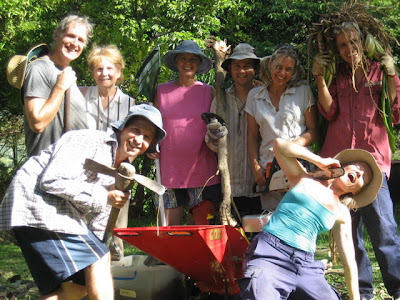 The Bellbunya community is an intentional community, with each member agreeing to work together as a community. Informally and formally, community members support each other in a variety of ways, celebrating together events and successes, and teaching and learning skills from each other. 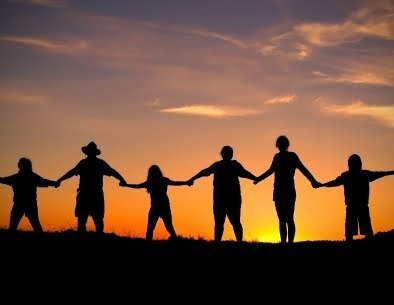 Each community member contributes individual skills and their own time for the benefit of each other and the whole community. The breadth of skills shared by community members includes electrical engineering, catering, legal, IT, management of organisations, biodynamics, health, office-work, gardening, music and building. ABS data suggests that the average Australian spends approximately 22 hours/week in domestic chores. Bellbunya Community members cook and clean as a pair or team usually one main meal per week, roster in pairs to clean common areas around once each 6 weeks and spend 8 hours each work sharing their skills and time to enhance and support the life of the community. Located in a rural environment, community members are able to enjoy a variety of social, recreational and developmental activities, including meditation, yoga, dancing, music, swimming, singing (especially during dishes), games (including Kelly Pool) and movies at the Bellbunya cinema. The greatest success is the nightly dinners where all community members gather for a feast, a laugh and fine company. Access to a wide variety of people and activities removes the feelings of isolation that are so prevalent in today's society. Having the Eco-Conference Centre on site means that the community has access to a variety of events, conferences, activities and workshops in their own back yard, many of international standard. Emerging artist nights, trivia nights and theme nights provide fun and opportunities to build skills and relationships. Support for Relocalisation in the Sunshine Coast. 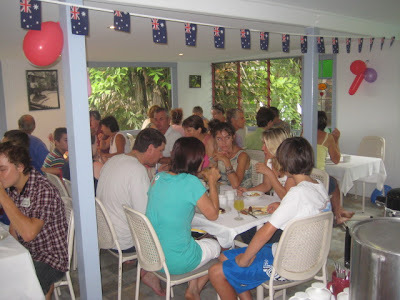 In January 2009 the community provided an Australian Day breakfast for over 60 neighbours, giving an opportunity for community members to meet neighbours and bring together the neighbourhood in celebration. Community members actively support the local Rural Fire Brigade, committing their support to the local community in the event of an emergency. From attending local events, to networking with people in the area, to buying local produce, the community has been actively seeking to find the best ways to support the local community. Health and wellbing. Increased access to healthy, freshly prepared and organically grown food and to community members as practioners of a variety of practices such as Ortho-bionics, massage and Reiki. By sharing expenses and resources, the community has created an affordable lifestyle. Sharing internet connection and phone connection costs decreases costs for each community member. Sharing of facilities through community spaces reduces the overall use and therefore costs of energy. In total, all services, including gas, electricity, telephone and internet for all purposes costs community members $20 per week. The Bellbunya community purchases fresh produce rather than packaged and processed food, makes bulk purchases of seeds, nuts and grains and grows and makes an ever-increasing range of produce on site. As a consequence, the community disposes of less waste, supports the relocalisation movement and is healthier. The added benefit is affordability, as Bellbunya is able to supply healthy, vegetarian meals for guests and community members from $40pp/pw. Enterprise development at Bellbunya is at the very initial stages, with encouragement from the community and the Association for Sustainable Communities Inc (ASC) to develop collaborative sustainable enterprises. Those currently in the start-up phases include a local-food experience restaurant and development of the eco-retreat and sustainability conference centre in conjunction with the ASC. On the agenda is to form partnerships with local enterprises, eco-farming and utilising the commercial kitchen to value-add local and community farm products. Being in community can be exciting and challenging with many learning opportunities. Members of the community have made a number of personal commitments regarding how they will respond to the challenges of community living. Bellbunya community has been an enrichening and enlivening experience moving members beyond their comfort zones. The community engages in regular meetings for their activities, as well as weekly connection circles and daily reflection opportunities. Carsten, a community member who is a trained NVC (Compassionate communication) mediator supports members of the community to see different perspectives through facilitated communication. Visioning Process: The whole of Bellbunya Community participated in a visioning process that identified the values that as a community are held most dear. Bellbunya community has decided to adopt and trial sociocracy as a form of governance, with decisions being made by constructive consensus. Circles, and people within circles, take responsibility for an area of the community and bring well constructed proposals back to the community as a whole, with the process continually refining. Subpages (2): Sustainability Audit Why Community?